Think about the "typical welfare recipient." For many, the image that comes to mind is the stereotypical "welfare queen" - a black female making a career of welfare. The fact is more adult recipients of welfare (TANF - Temporary Aid to Needy Families) are white females than any other race/gender category. 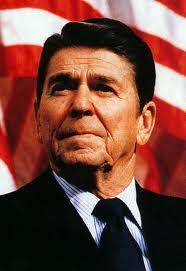 Ronald Reagan breathed life into the welfare queen stereotype during his first presidential campaign. The woman he referred to never existed. And yet this racist welfare stereotype persists three decades later. Why? How much does the space program cost? 5% of the federal budget? 10%? The actual figure is less than 1%. Coincidentally, that is about the same percentage that goes to TANF. Zeroing them both out would have negligible effect on the budget deficit. And yet the stereotypes of a budget-busting space program and huge welfare expenditures persist. Why? Psychologists call it confirmation bias. People have an efficient facility for filtering out facts not in accord with preconceived notions. We believe what we want to believe, facts notwithstanding. False stereotypes persist, because they confirm our biases. Confirmation bias is human nature, but with access to the internet, checking facts regarding stereotypes is trivial. The real question is will we summon the courage and integrity to put our biases to the test? Or will we risk accepting false stereotypes peddled by pandering politicians, because they are confirming and comfortable? Which will you choose, comfortable stereotypes or possibly inconvenient truth?